1 2 3 4 5 6 7 8 9 10 11 12 13 14 15 16 17 18 19 20 This product is not currently available for sale. 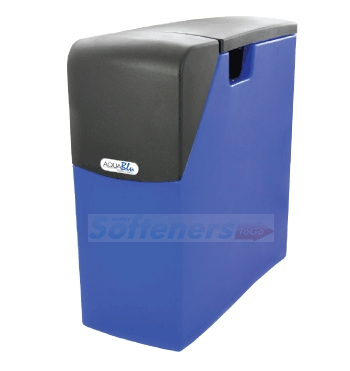 AquaBlu is a mid-range water softener, ideally suited for houses with up to two bathrooms. •	Perfect for people looking for a good value introduction to water softeners, or those wanting to upgrade from a basic budget electric softener. •	The AquaBlu is a non-electric water softener which uses tried and tested Kinetico technology. •	The twin-tank design is the only system to provide a continuous flow of soft water 24 hours a day, 7 days a week. •	The AquaBlu is a compact softener and will fit neatly and easily under a kitchen sink. •	This reliable appliance comes with a 2 year parts warranty as standard.